To this point, as early as it is in the season, I have found that winners are best predicted by Even xGD, rather than overall goal differential. Though the sample size of shots is smaller for each team in these scenarios, the information is less clouded by the various tactics that are employed when one team goes ahead, or when one team loses a player. Making predictions in sports is generally just setting oneself up for failure---especially in a sport where there are three outcomes---but I will say this. Sporting is likely better than the +180 betting line I'm seeing this morning. *I use the phrase "per game" for simplicity, but xGD is actually calculated on a per-minute basis in our season charts. Per game implies per 96 minutes, which is the average length of an MLS game. Week 7 got an early start with a first for New York this year - a win. Was there anything else that stood out this week, and who managed the top spot? To kick off my PWP for Week 7, and only week 7, here's my traditional diagram showing the highs and lows and everyone in between..
What may be surprising to you is that Dom Dwyer did not get my PWP Attacking Player of the Week; why? Because most good strikers score goals - what's critical in my view is the amount of set-up and overall interaction that goes with creating those goal scoring opportunities. 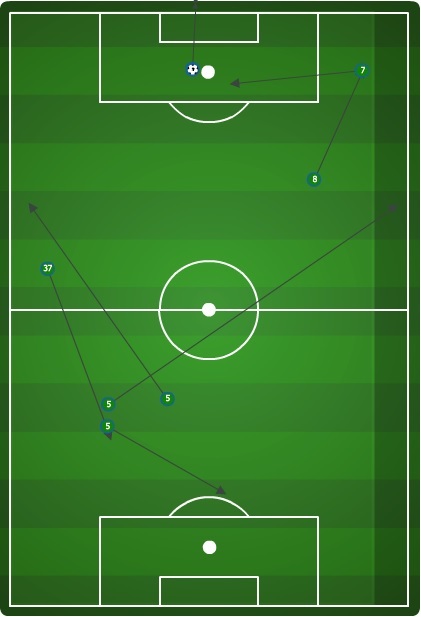 And as much as I'd like to favor Dom Dwyer, he had just 58 touches with 11 passes, 5 of them unsuccessful for a 54% passing accuracy... good but not great in my view. Other teams getting worthy results this week were Seattle, Real, and Dallas in addition to New York, hopeful of taking three points but somewhat satisfied with one point are New England, San Jose and DC United; disappointed with draws were most probably Chicago, Colorado and Columbus. 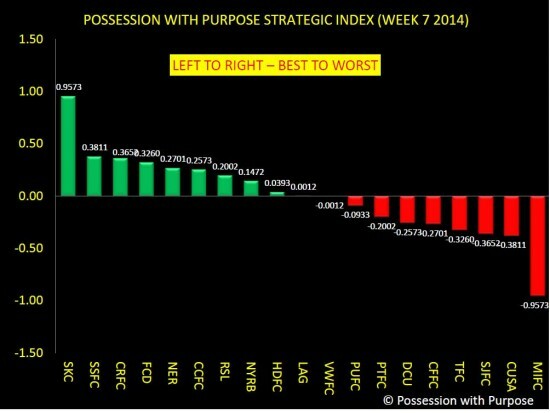 In case you missed it one of my newer focus areas this year is passing accuracy. 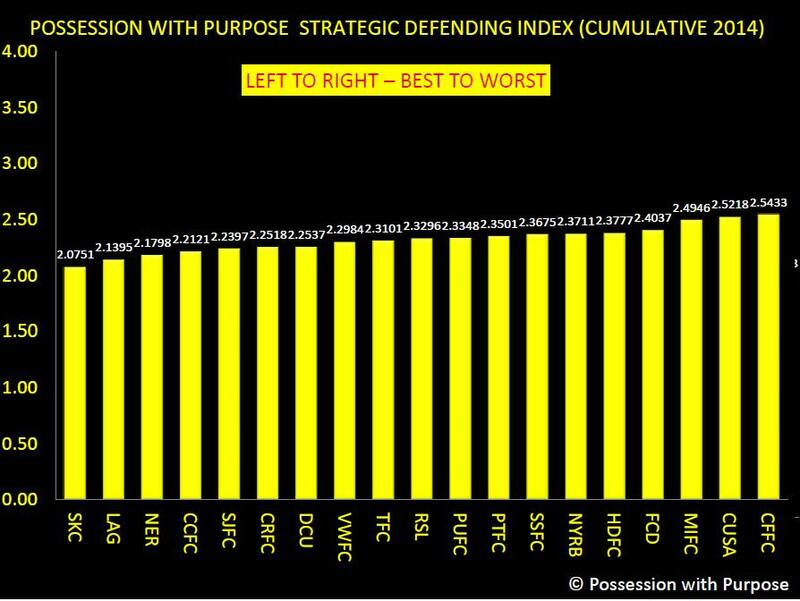 For now I think there is great value in recognizing how much influence 81% passing accuracy has across the entire pitch; even more so within the Final Third. 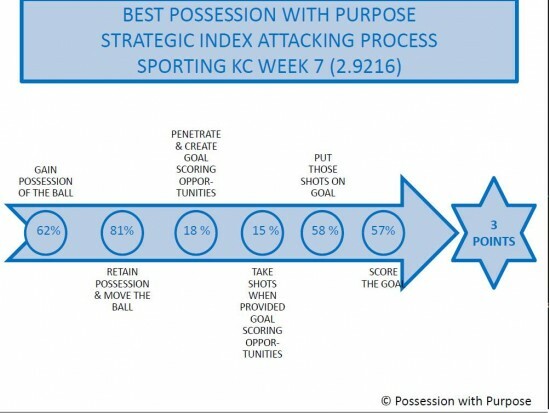 For this game Sporting were successful in completing ~71% of their passes in the Final third; that accuracy led to having 58% of their shots taken go on goal and a 57% success rating in having those shots on goal score goals. In simple terms it almost didn't matter where the shots were taken that scored (2 outside the 6 yard box and 1 outside the 18 yard box) - plus an own goal (from between the corner of the 6 and 18 yard box). 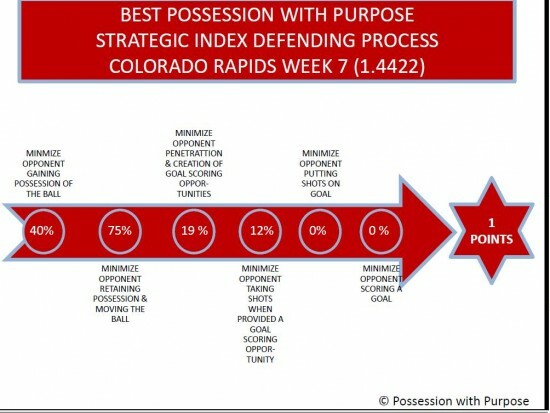 To get a better picture on that relationship between passing, penetration and goal scoring you may want to read this latest on Expected Wins. 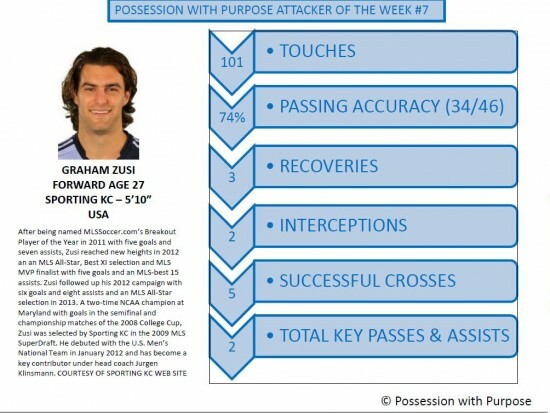 For now here's my PWP Attacking Player of Week 7: Graham Zusi. Some pretty comprehensive play by Graham Zusi. 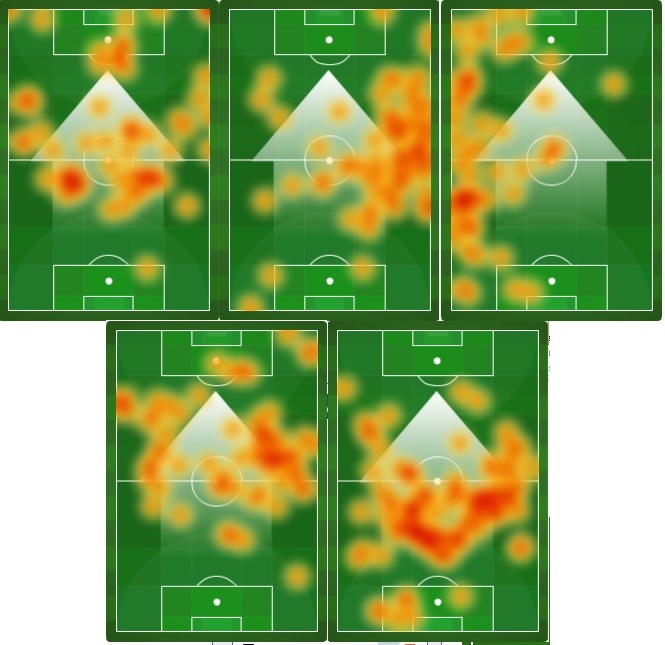 His volume of touches, passing accuracy, and work within the midfield (in defense) as well as his accuracy (final third) was crucial in creating scoring opportunities for Sporting. What speaks more to me about Graham is his continued growth in playing on both sides of the ball. That rigor and discipline will do well to help him and his teammates in the World Cup this year. 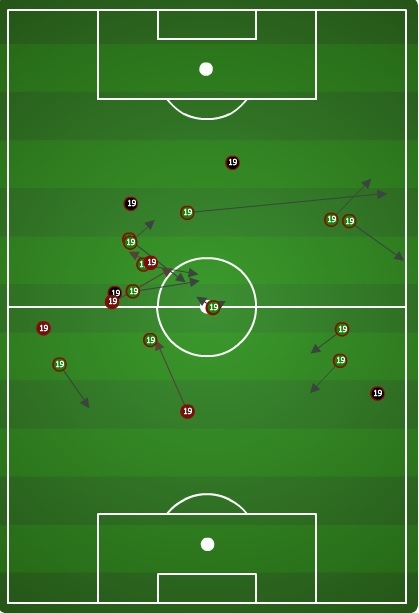 Of note is that Graham offered up five successful crosses; that's more than the per game average for all these teams in MLS this year: Colorado, Chivas, DC United, FC Dallas, New England, Portland, Philadelphia, Real and Vancouver. 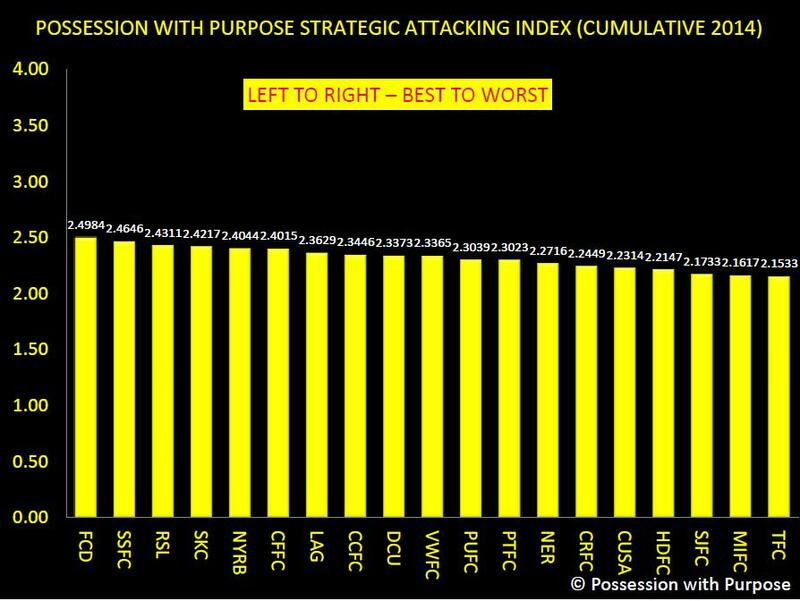 By the way, the most successful team in delivering crosses this year is LA; with a 34.06% success rate. 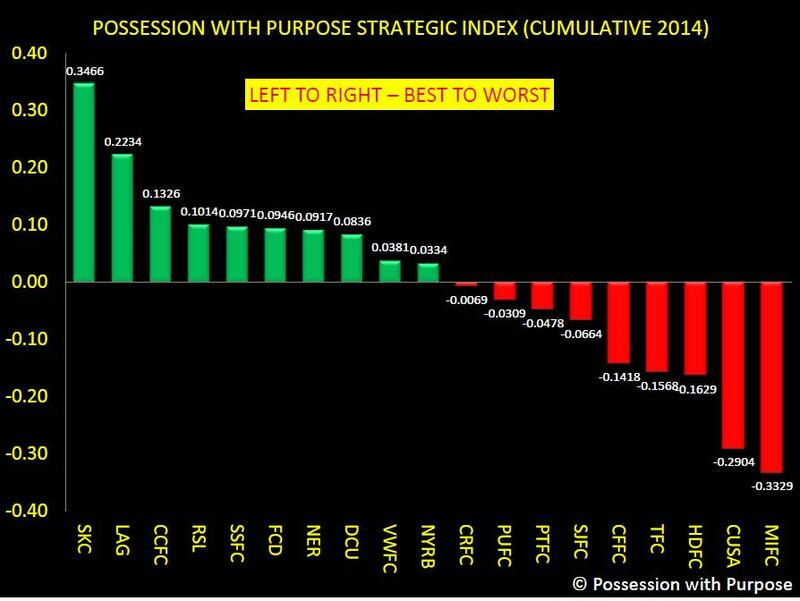 Toronto is next at 32.21% while Sporting is 3rd best at 31.69%. Bottom of the league in offering up successful crosses per game is Portland at just 16.34%. 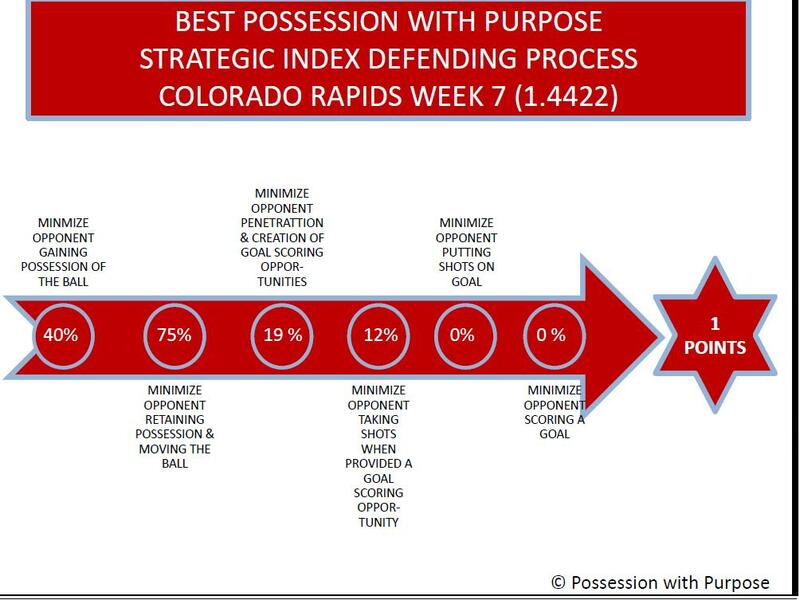 This one may have come as a surprise but in looking at the attack of San Jose it's no wonder Colorado looks this good when defending against them. All told San Jose had no shots on goal and no goals scored with minimal penetration generating just 6 shots, 2 of which were blocked. Bottom line is that Colorado basically snuffed out just about everything San Jose had to offer. 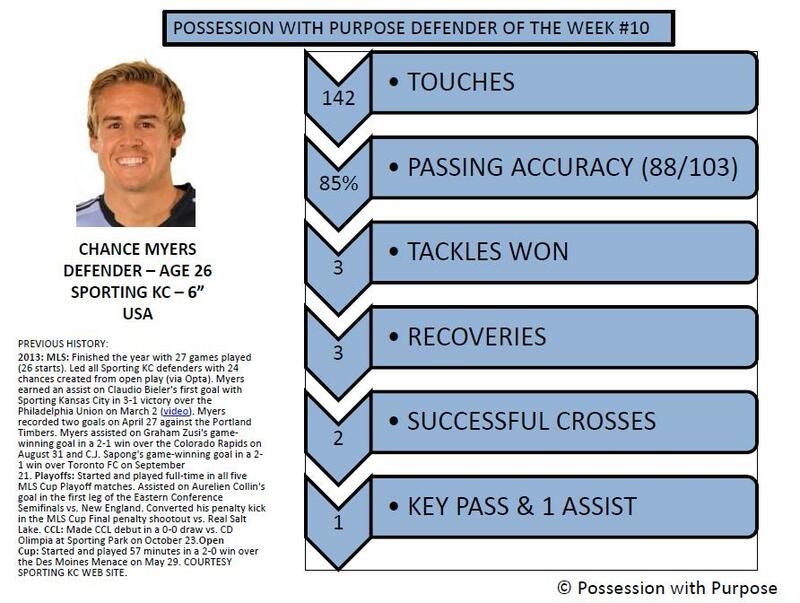 So who is my PWP Defending Player of the Week? All told O'Neill, Piermayr and Klute all had great games with O'Neill completing 49 of 52 passes playing right fullback. Hard choice this game by my award goes to Drew Moor. 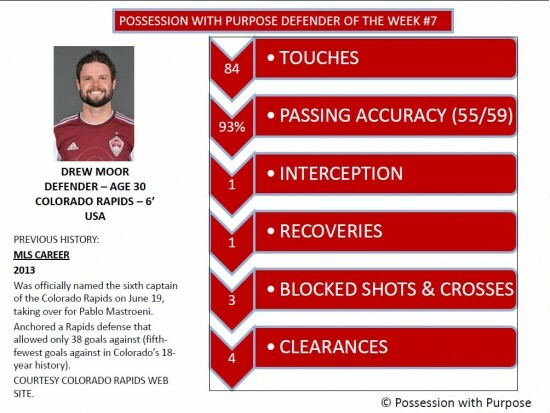 In a league where top flight Center-Backs are needed, Moor did a great job controlling the 18 yard box against a team that loves to cross the ball. San Jose completed just 5 of 23 crosses - and for a guy like Wondolowski, who lives of crosses, Moor did a stand-up job. Here's the highlighted statistics I picked out for him this game. Week 7 has come and gone and the chase continues; some look to be dropping back a bit further while others rise to the top on a regular basis. Next up I'll get into the Composite Index for all games played to date. For now know that it's getting pretty packed up top - but clarity on the five playoff spots for each conference will take a while to sort itself out, as it should.